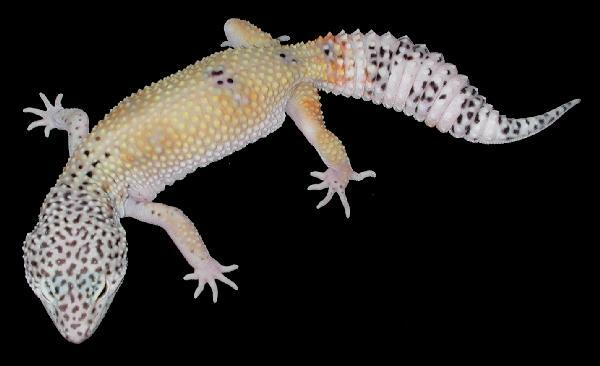 The Pastel gene is not strictly associated with the Tremper albino. It is a separate gene unto itself and may manifest itself in any morph resulting in enhancing color pigments to a higher level. It is a new building block for the industry!! 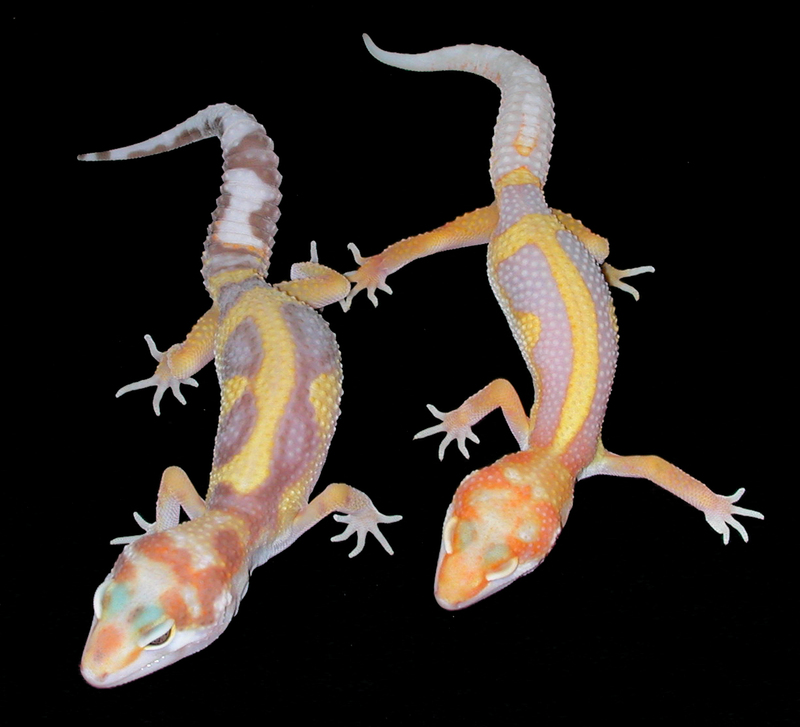 Pastel Tremper Albino x Pastel Tremper Albino (left) - Tremper Albino x Tremper Albino (right). 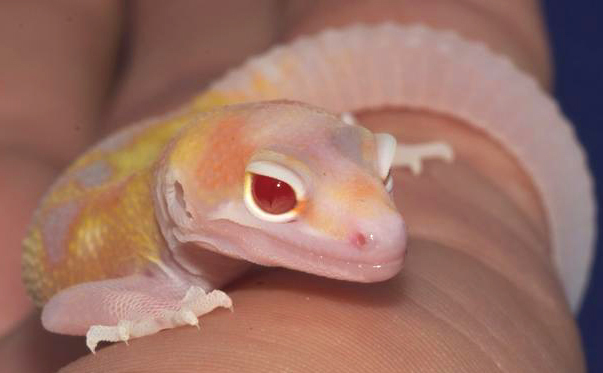 Notice the rich colors, white front legs and light marking on the top of the head of the Pastel Albino. These photos above and below speak for themselves!! Founder Pastel (above) - 2008. Everything I know about the Pastel genetic is presented below. named them Pastel Raptors here some years ago. I bred them all together to try for the real deal blue belly, but no luck since 2009.
getting a blue belly gene pool established. Since two of the original "blue bellies" were banded raptor morphs most of the Pastel Raptors are banded, but patternless, striped and jungle are represented, as well. Pastel Raptors are not snows or White & Yellows. 2012...... I out-crossed a male Pastel Raptor to the following morphs: A Super Giant albino an a Snow Raptor. Pastel Giant/Super Giant albinos and Pastel Snow Raptors were then created. 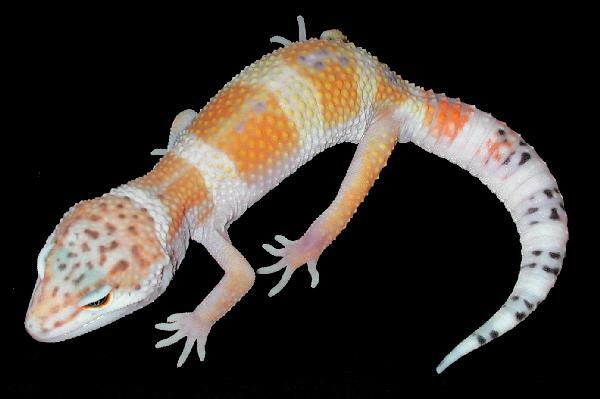 April 2014 Update....... After years of trying to duplicate the turquoise blue gecko from the original three geckos mentioned above, we still have had no luck. The Pastels are a beautiful result and this season we are breeding Pastels to other unrelated morphs to see if the Pastel gene is something new. Could it be Dominant or Polygenetic ? Or are all the Pastel Raptors really the Super form of the Pastel genetic ? May 2014 Update...... 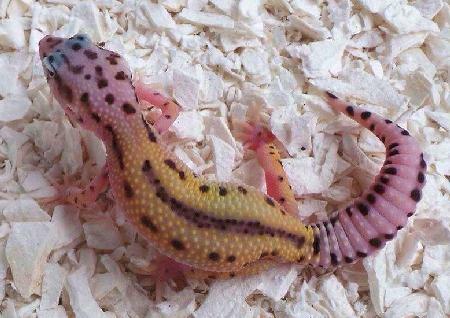 The first pair of eggs has hatched from a Pastel Raptor x Tremper Albino Bandit. The photos below show the results. In all my years of hatching albinos, I have never seen a variation in albino pigment when a pair of eggs is incubated in the same cup. The photo clearly shows a distinct difference in skin pigmentation between the two clutch mates. 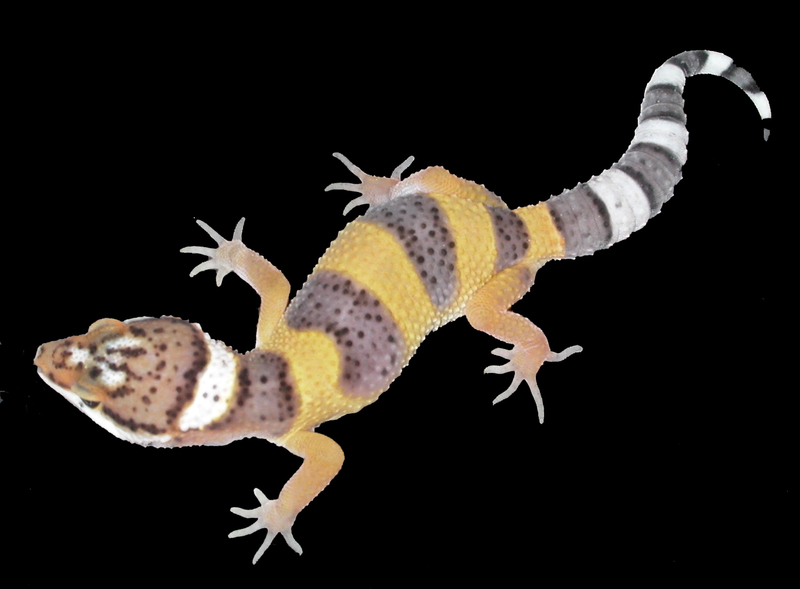 Two geckos does not make for scientific conclusions, however with more test eggs due to come we will keep you posted about the results. The Pastel gene is certainly behaving like something new. June 2014 Update...... More young from several test breedings, both here and from other breeders, have been produced. (see results below). 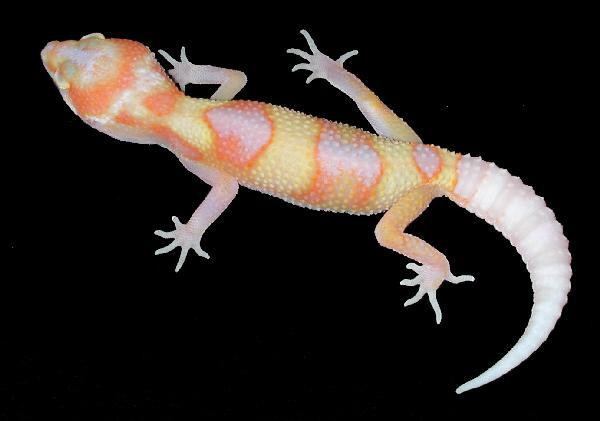 You can see in the geckos below that the offspring are greatly influenced by the Pastel gene. Over the last two years I have let out a number of Pastels to other breeders around the world, which included Helene Marmignon (Tremper) from France. Their breeding results and comments back up the notion that this gene is a new Dominant with possible connections to a polygenetic complex. In early 2014 groups went to Korea, Japan and Hong Kong. Significant results are beginning to come in from them, as well. Pastel Raptor x Lavender Reverse Stripe Mack Snow (above) Note the very pale head and clean vibrant body colors. 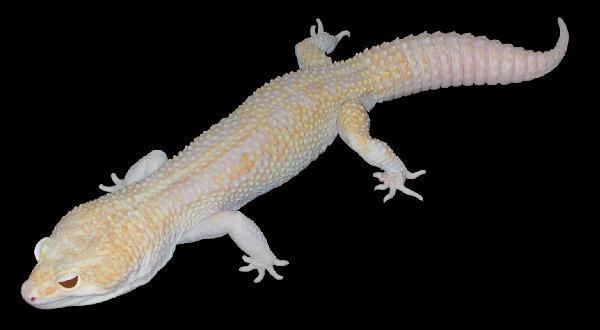 Pastel Tremper Albino x Pastel Tremper Albino (above). This juvenile has all the hallmarks of the Pastel gene. July 2014 Update....... More exciting test breeding results have come in. 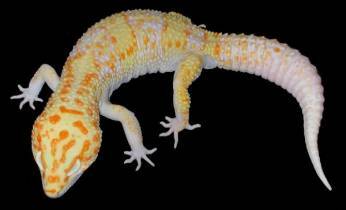 Breeding a Pastel Raptor to a Snow Hypo created a top Creamsicle in the first clutch! The Pastel gene is revealing itself. Please know that the Pastel gene first manifested itself here as a random mutation in a standard Raptor morph. It was the Pastel gene that created the never before seen turquoise blue on the sides and belly of that hatchling. Since blue was such a big factor in that gecko, I think this is why we see so much lavender and light blue in the Pastel breeding results. 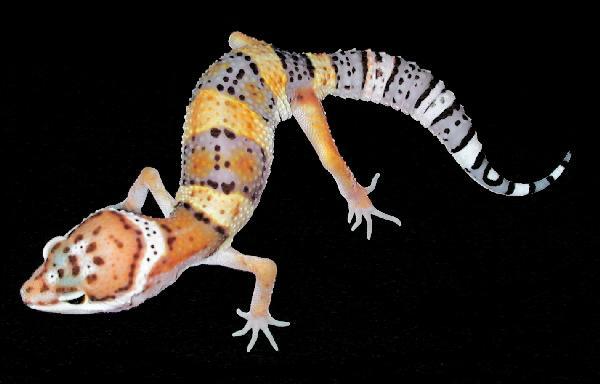 January 2017 Update....... Over the last years of working with the Pastels I have selected the best looking geckos as breeders. This allowed the effects of the Pastel genetic to be expressed dramatically as one can see by the quality of what I have offered on my website gallery. 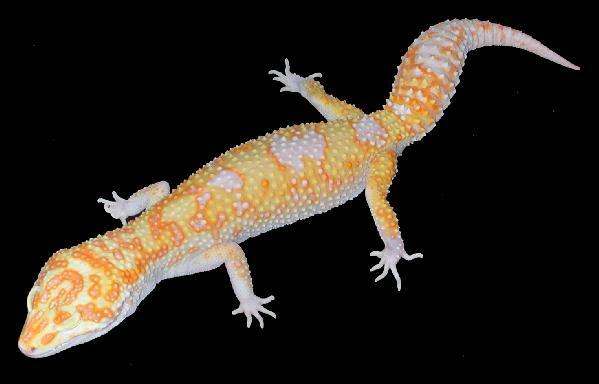 Mixing the Pastel with White & Yellow further increased the color that myself and other breeders have experienced. I also made numerous test breedings with only the Pastel genetic without regard to the bias of being selective for color quality. My personal findings from these hundreds of breedings showed that the color quality degraded by the 2nd or 3rd generation. Although I could still see markers of the Pastel effect, the offspring of these randomly paired breedings, were no longer worthy of being marketed as Pastels. Therefore, based on my own testings and those experienced of others, I can say that the Pastel is polygenic as opposed to a true dominant. To get the most out of the Pastel genetic one must use the best quality individuals for breeding. 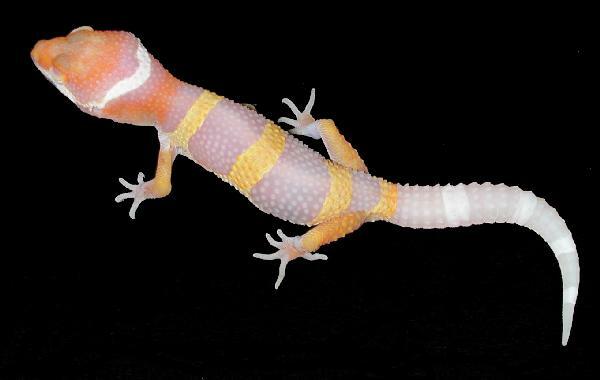 Health....... Our geckos with the Pastel gene have exhibited strength and great confirmation. There have been no tail issues or body deformities to date. Females are highly prolific, often producing over 16 eggs per season. There have been no barren females or frequent single-egg clutches. Genetics....... The Pastel gene is definitely something new and exciting. 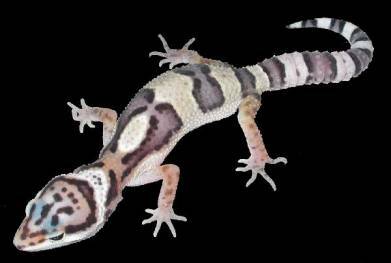 It makes the colors in morphs look more rich, vibrant and pure in the first generation. It's as if you get "visual hets". Those results can be duplicated. Whether it is a dominant gene or a gene that shows polygenetic dominance, that label still needs to be proven. It is acting like a Dominant, but as more breeders and ourselves compile results, that determination will become apparent or not. Pricing....... Prior to the official debut of the Pastel on July 28, 2014, I let out a number of Pastel Raptors for a price much lower than they are now being offered for. Some people may ask, "Why"? The answer is simple. 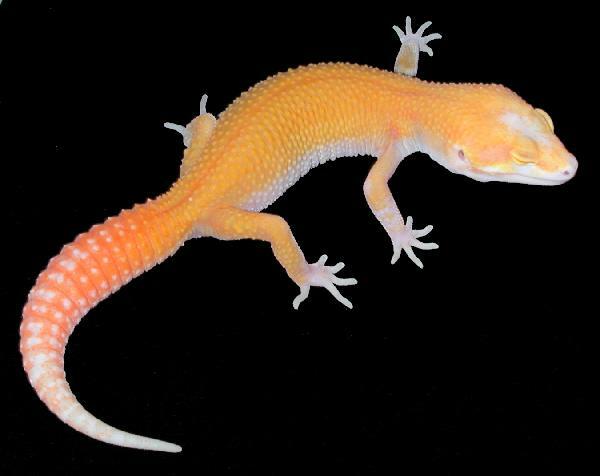 All along I could see that the Pastel Raptors were special looking, but I did not discover until this spring that that which made them special was a new gene and not just some line-bred trait. 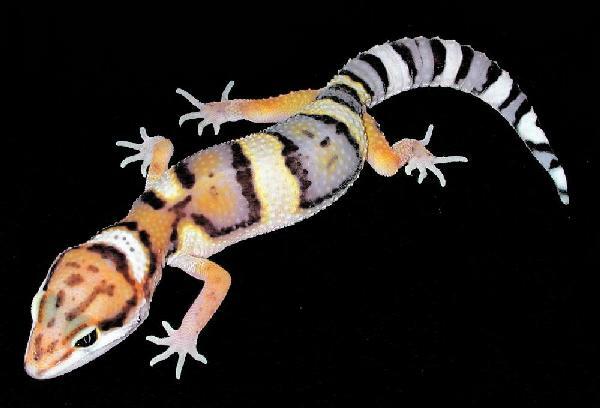 What makes a gecko a Pastel? Scroll through the photos below and you can easily see several common traits when the Pastel gene is in play. 1) Colors are greatly enhanced in the morph it is present in, particularly lavender. New color combinations can be expressed. 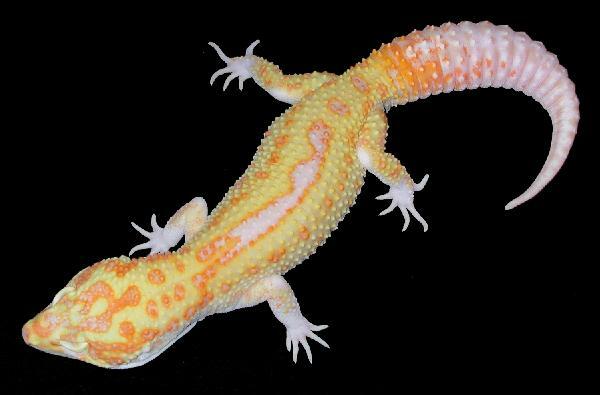 One breeder put it this way, "It's like a dirty layer of skin has been removed creating a gecko with very pure and bright color." 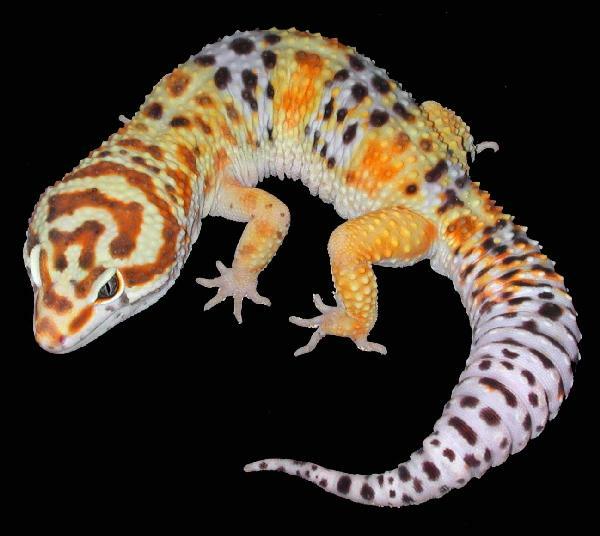 The dramatic color results are heightened when breeding Pastel x Pastel. It's like going from analog TV to HD !! 2) The top of their head has a lighter marking on it; especially noticeable at hatching and the raptors have "white socks". Perhaps the Pastel gene is making the normal Eclipse markers like "white socks" and pied-like head markings more pronounced an easy to identify. 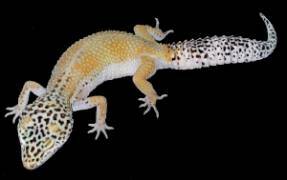 There is no way that I can show the results of breeding this new gene into all morphs and combos, so I must leave it up to the worldwide leopard gecko community to pursue and discover its full power. There will be new combos and color results seen for the first time as further light is shed by working on the Pastel. The potential is unlimited. 1 Day old (above) - Clutch mates from the same cup incubated at 89-90F. 28 Days old (below) - Notice the pronounced Lavender filling in. Notice the rich colors and quality of the cream banding of the Pastel Snow Hypo, which demonstrates the immediate affect of the Pastel gene. 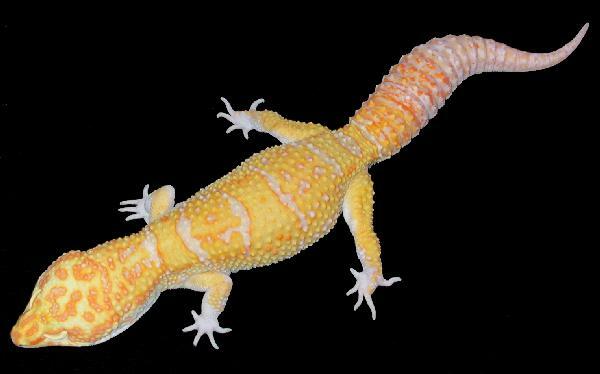 In this particular case the Pastel Snow Hypo closely resembles a Creamsicle. Dramatic results that can be duplicated. 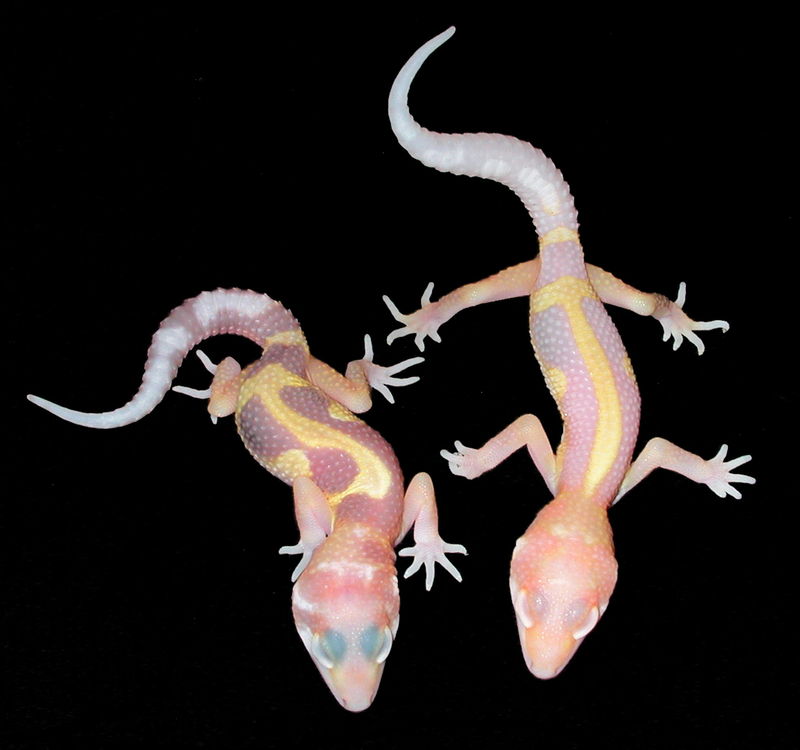 Pastel Snow Hypo (left) - Normal Snow Hypo (right). Notice how the overall gray look of the normal snow is cleaned up and brightened in the Pastel version - more concentrated black pigment and richer cream color. The tangerine showing in the Pastel is remarkable. 66% POSSIBLE GIANT OR SUPER GIANT !! Hatched 3-8-14 - Note the WHITE SOCKS !! Tail color will increase. 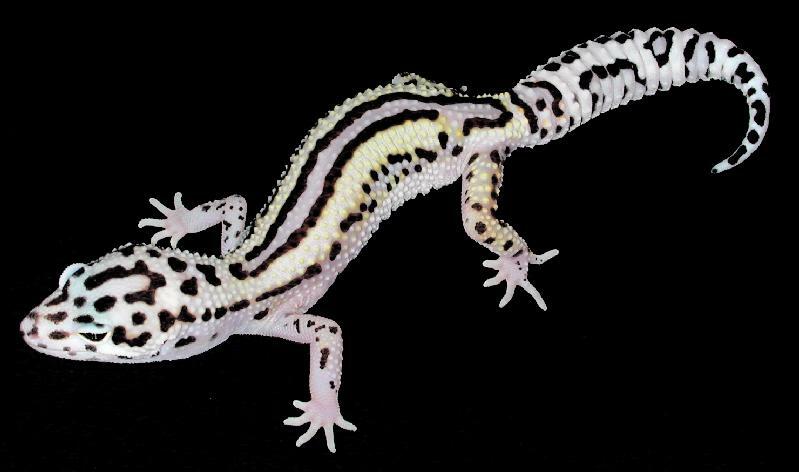 STRIPED SNOW PASTEL RAPTOR RARE !! 10 months old - Note the WHITE SOCKS ! !